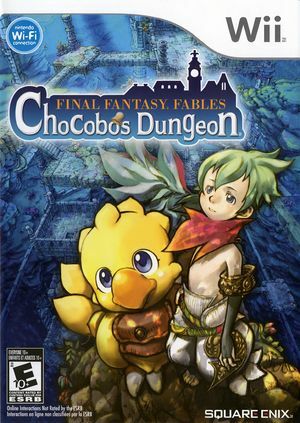 Final Fantasy Fables: Chocobo's Dungeon is a role-playing video game published by Square Enix for the Wii. It is an installment in the Chocobo series that focuses on Chocobo and a Cid character. The gameplay involves randomly generated dungeons and turn-based battles of the Chocobo's Mysterious Dungeon title, though new elements have also been incorporated into the gameplay, such as the Job system, which features ten jobs. The graph below charts the compatibility with Final Fantasy Fables: Chocobo's Dungeon since Dolphin's 2.0 release, listing revisions only where a compatibility change occurred. This page was last edited on 14 January 2018, at 11:29.